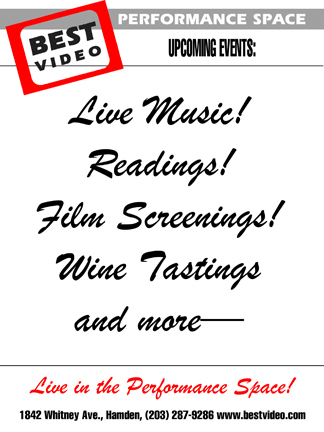 Due to concerns over snow and the fact that band members live a good distance from Hamden, tonight’s planned show at Best Video Film & Cultural Center with The Howling Hound Dogs jug band is cancelled. The Howling Hound Dogs play Best Video Performance Space on Wednesday, Feb. 20. The show starts at 8 PM and the cover is $5. 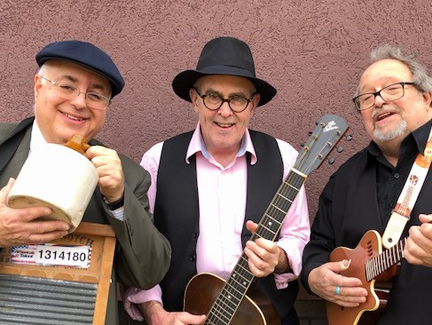 The Howling Hound Dogs are a fun, upbeat washboard trio who play swing standards from the 20’s to the 50’s as well as folk and blues tunes, modern arrangements and funny originals. Their shows include ukulele, guitar, kazoo, harmonica, mandolin, banjo, washboard, jug and even spoons! As a band and as soloists they’ve appeared at festivals, town concerts, senior facilities, libraries, the New Haven Festival of Arts and Ideas, Nashville’s Bluebird Café and on TV and radio. Thew members of The Howling Hound Dogs are Peter Magrane, Lou Manzi and Tom McVerry.